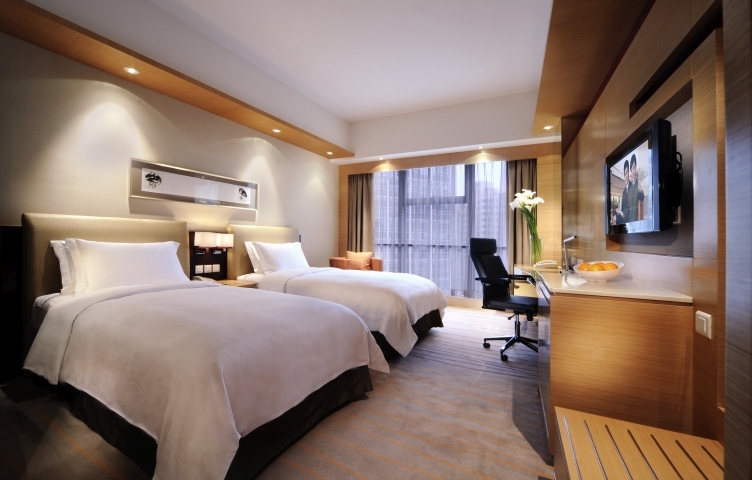 These luxury rooms at New World Wuhan Hotel offer privacy and special privileges. 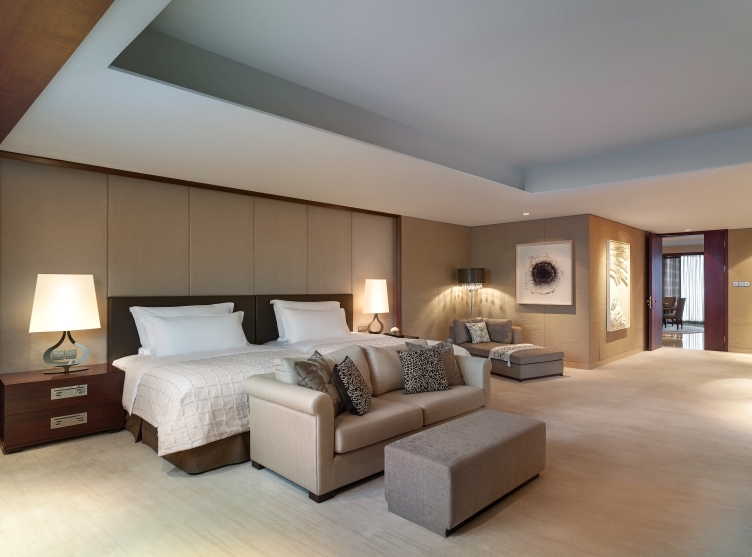 The Residence Club Deluxe Rooms on Levels 25 to 27 are 35 square metres and feature floor-to-ceiling windows and lovely views of the city or the hotel pool. 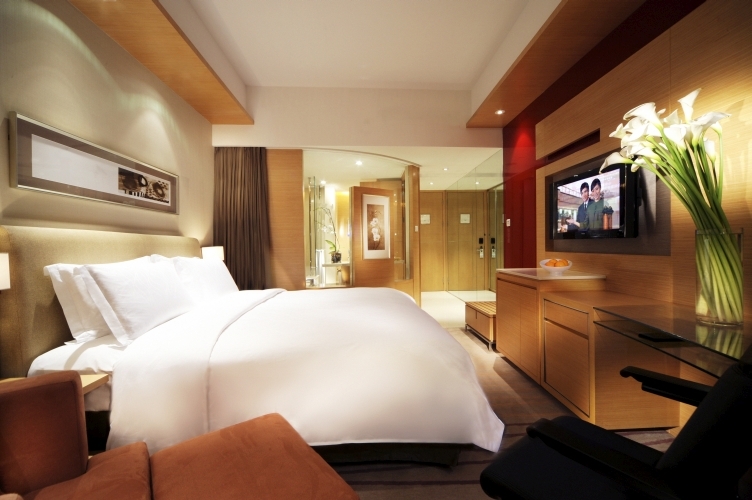 Each room is a beautiful blend of creature comforts, modern efficiency and contemporary Asian flair. A large television with international channels keeps you informed and entertained. The large writing desk works well for business, personal correspondence and in-room dining. 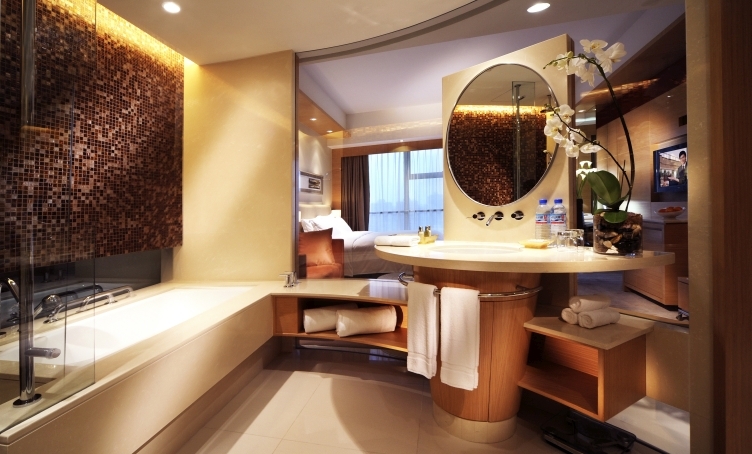 There is a marble bathroom with walk-in shower and bathtub, and the wonderful bed, goose-down duvet and plump pillows make for a truly relaxing sleep. 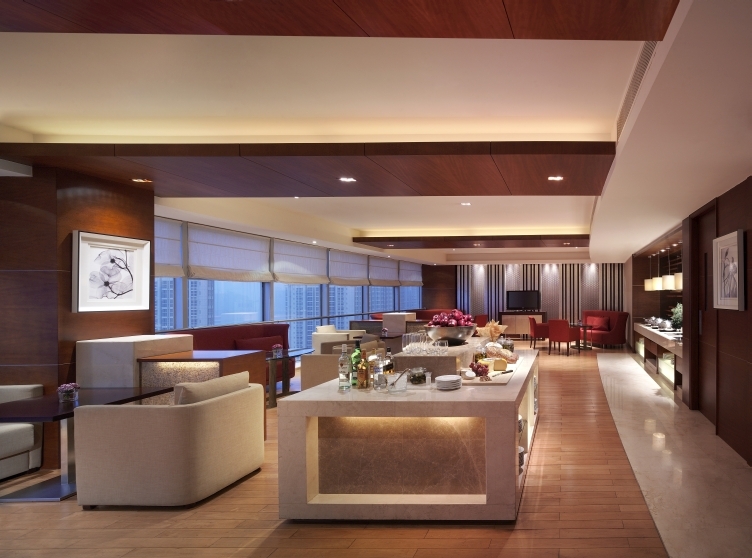 You also enjoy the complimentary services and benefits of the Residence Club and Residence Club Living Room.